Vehicles with enough seating for the family. But they might break your 95 unleaded budget. It was no April Fool's joke when fuel prices spiked by 9% on the first of this month. South African motorists are now being forced into diverting a greater sum of their disposable income to fuelling cars. The entire scenario is quite depressing, you either pay more or drive less, which isn't ideal if you love your car and driving it. But what often makes us feel better, is knowing that someone else is suffering more. As such, we have totalled some vehicles that are really going to make the fuel increase more painful than most. To keep it sporting, we have excluded outright two-seater supercars and compiled a list of vehicles which have enough seating to justify their ownership as daily drivers. A massive and extremely capable SUV for those who seriously consider driving from Sandton to Senegal. The Patrol combines two features which will always mitigate against fuel efficiency: Mass and a large capacity petrol engine. Kerb weight an immense 2 746kg. Then there is the engine. To move around that much weight, you need a lot of power and Nissan's Patrol station wagon does without the benefit of turbocharging. It uses a 5.6-litre V8, powering up to 298kW and 560Nm. A credibly responsive and fantastically reliable engine, it also glugs down fuel like crazy. You can average 14 litres/100km, if you drive with extreme restraint. Also consider the financial commitment required, to fill that 140 litre fuel tank. Similar concept to the Patrol but built with Toyota Land Cruiser bits and covered over with angular Lexus styling. The LX570 is effectively a petrol-powered Land Cruiser 200-series and with that calibre of source componentry, it must rank as one of the most reliable vehicles you can buy. Like the Patrol, it is massive and weighs quite a lot: 2 740kg. Also powered by a large capacity V8, the LX570's engine displaces 5.7 litres, but makes a touch less power than the Patrol, at 270kW. It does have two additional gears, though, with an eight-speed automatic that should theoretically help it to be slightly more efficient. Drive with a feathery throttle action and you’ll see 14.5 litres/100km. At best. You can have all the clever turbocharging and cylinder deactivation technology you want, but a 12-cylinder engine is never going to be light on fuel. 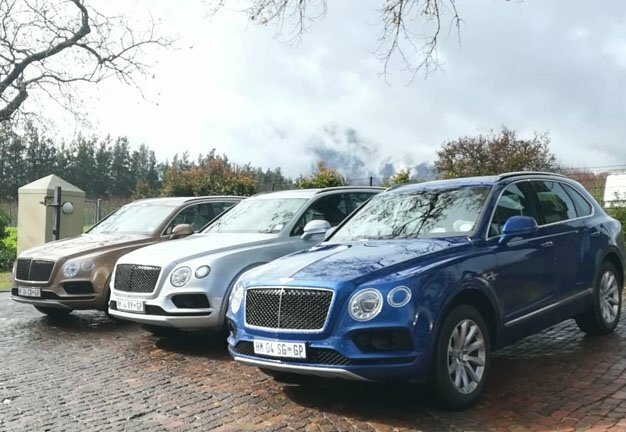 Bentley's stately SUV has a W12 configuration engine with a swept capacity of 6 litres. It makes 447kW, which give the 2 440kg gravel traveller a very decent turn of speed. Also makes it rather heavy on juice. With a tailwind and lots of throttle lifting, you are never going to see consumption drop below 13 litres/100km. A comparatively small vehicle, being quite a bit shorter than any of the other seven-seater SUVs mentioned above, but that doesn't make the G63 light. At all. Built upon a classic military specification ladder frame platform, and reinforced to be exceptionally off-road capable, the G63 is heavy at 2 650kg. It also has the worst aerodynamics of any current production SUV. Compound those issues with a 4-litre bi-turbo V8, tuned for performance to deliver 430kW, and you have a comically fuel thirsty SUV. AMG claims an average consumption figure of 14 litres/100km, but you'd have to have the throttle coasting day of your driving life to match that. No South African vehicle listicle of any sort is complete without at least one Toyota. The one we have selected for our fuel-consumption heavyweights is a stealth product in the enormous Toyota South Africa product portfolio. 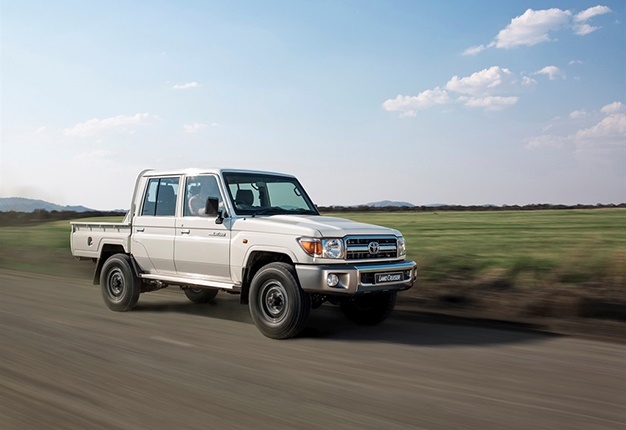 The Land Cruiser 79 bakkie might be legendary, but most people associate these with diesel power. What few recognise is that Toyota will still sell you a 4-litre V6 petrol-engined double-cab Land Cruiser bakkie. Built to survive the apocalypse, these bakkies weigh 2 360kg and have aerodynamics similar to a vehicle built from only square Lego. The 4-litre V6 engine is remarkably responsive and smooth, powering up to 170kW, but you also only have five-gears to choose from, which mean ideal average driving consumption of 14.4 litres/100km. Another vehicle with a massive fuel tank, which will test the patience of forecourt attendants as they attempt to fill it to 130 litre capacity.